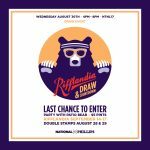 It’s almost time to find out who’s going to win the Patio Bear X Rifflandia prize (flight, accommodation & two VIP tickets to Rifflandia), but don’t worry — there’s still time to enter! 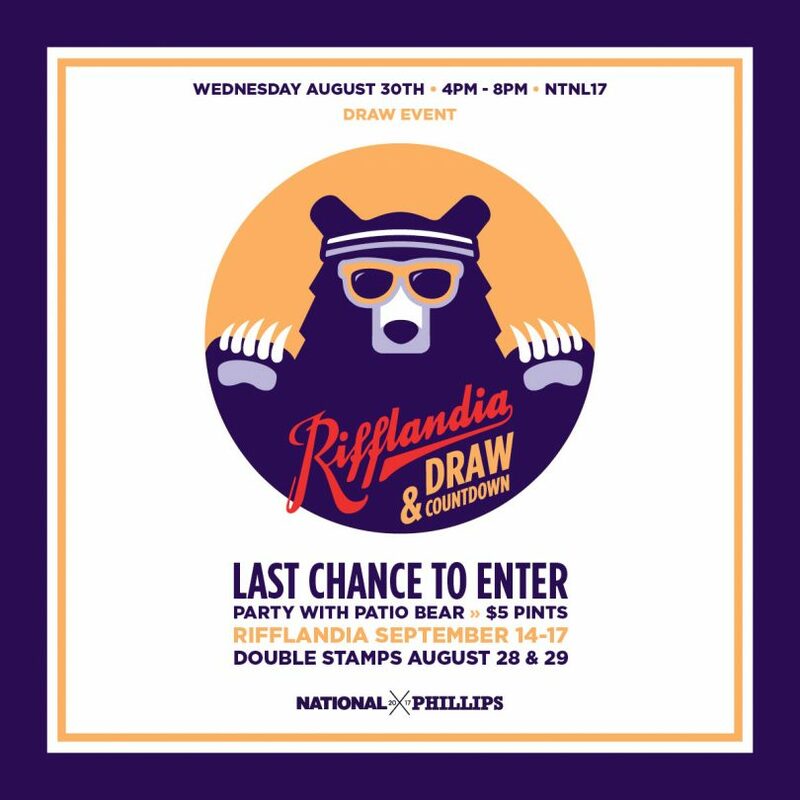 Double your stamps (and your chances to win) from Aug 28 to 30th, where each Patio Bear pint you purchase will get you DOUBLE the number of stamps! 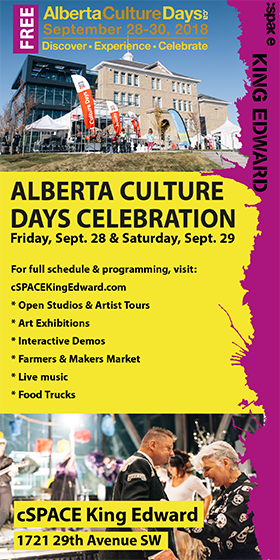 Your last chance to win is today, Aug 30. Patio Bear Pints will be $5 all day, and the draw will be at 8 pm. Patio Bear himself will be in the house, DJs will be spinning some tunes, so even if you don’t win, you’ll still win … you know? Cost: $5 pints all day!